CRYONOMIC® will be present on the Industrial Maintenance fair 2019 in Malmö ! This Industrial Maintenance fair is the obvious meeting place for anyone who needs maintenance solutions. CRYONOMIC® could not be unpresented at this fair with all its experience in dry ice cleaning equipment. As a manufacturer of these dry ice blasters, we can inform you about the possibilities to reduce your cleaning time in an (eco)logical way! 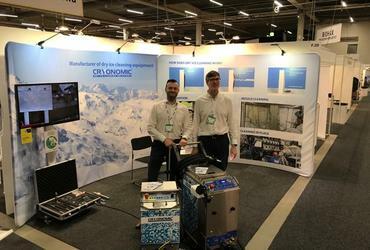 CRYONOMIC® has a worldwide network with dealers, but Sweden is missing in our distributor network. 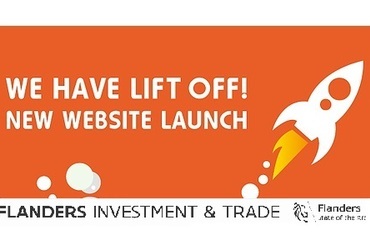 Should you be interested in becoming our reseller, please let us know as soon as possible. We would be glad to learn about your company's activities and to discuss a possible future co-operation. You are warmly welcome to visit our booth for a nice talk and meeting with our experienced Sales team! Welcome on the brand new website of CRYONOMIC®. We have refreshed the site with updated and extra content concerning our dry ice blasting equipment, dry ice production machines and dry ice containers! With new pictures, extra clips and a lot of detailed information, CRYONOMIC® will be pleased to inform you in the most efficient way! With our new website, we gladly take you into the story of CRYONOMIC® and familiarise you with our products. Our goal is to be your first choice! Do not hesitate to contact us for any information you might need, info@cryonomic.com. CRYONOMIC® announces with great pleasure the opening of our new production hall and offices. 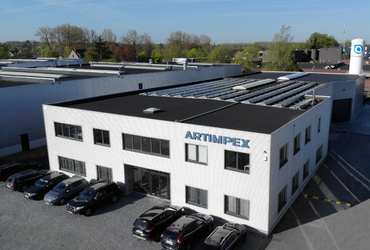 We have increased our production facilities especially to give our technicians more space to manufacture extra stock, boost the R&D department and to create extra workstations. As a consequence additional staff have joined our team in Production and in Sales.